Do You Really Need Any Of Those Store-branded Credit Cards? 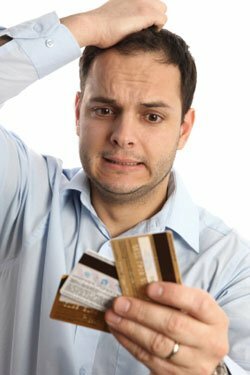 HomeBlog Credit Card DebtDo You Really Need Any Of Those Store-branded Credit Cards? If you get a store-branded credit card from a store such as Target or Sears you may get reward points and exclusives such as access to sales events and coupons. These perks can definitely help you keep more money in your pocket. But does it really make sense to sign up for one of these cards? In terms of saving money, credit cards from Lowe’s and Target both offer 5% off in-store and online purchases. Store-branded credit cards often come with other money-saving bonuses from the initial discount you get when you open the account to special deals and greater rewards when you reach a certain spending threshold. They may also include financing options for big-ticket items. There are two types of credit cards. Store-branded cards can generally be used only at the associated store and maybe at a few other retailers that are part of the same corporate family. Then there are cards such as MasterCard, Visa, American Express and Discover that can be used practically anywhere. Of the two types the ones that can be used anywhere are more practical and may even come with more benefits than a store-only card. If you’ve had a problem with credit and are working to repair it then a store-branded card may be your best choice. The reason for this is that it’s usually fairly easy to get approved for one of them. Of course, once you get the card you need to use it responsibly or you’ll never get your credit fixed. Any time you apply for a new card, whether it’s a general-purpose card such as Visa or a store-branded card this will affect your credit score. This is because when you apply for a new credit account this turns into what’s called a “hard inquiry” into your credit history and this will cause your score to drop anywhere from 1 to 5 points. One or two of these hard inquiries won’t have much of an effect on your score but if you trigger several of them within a short period of time this will definitely affect your credit score and not in a good way. If you do opt for a store-branded credit card to get a special discount or some other important perk don’t just turn around and close the account. Fifteen percent of your credit score is based on the length of your credit history or how long you have had credit. When you close an account that will interrupt your history and may shorten the average age or duration of your accounts. 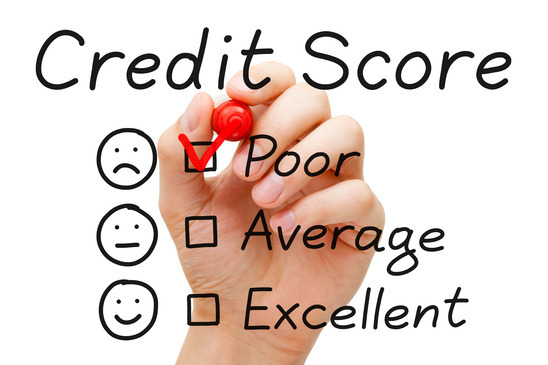 In addition, a full 30% of your score is based on how much money you owe versus the amount of credit you have available. Most experts say that you should use only 10% to 30% of the total credit you have available. When you close an account, there is less credit associated with you so the percentage of your credit in use – known as your utilization rate – rises. And this is one case where an increase is not a good thing. If you do get a store-branded credit card keep it open and then use it occasionally to make sure the store does not close it due to your inactivity. Plus, this can help boost your credit score. One of the things you definitely don’t want to do with a store-branded credit card is carry much of a balance from month to month. These cards generally have shockingly high interest rates. These can range from 18% to as high as 25%. Many of them are linked to rewards programs designed to get you to spend. When you couple this with high interest rates on your outstanding balances this can be a slippery slide into financial problems. If you’re not careful, you could dig yourself into a hole that will be very hard to get out of. If your goal is to get as much cash back as you can on credit card purchases then you would be best off choosing one of the general purpose cards instead of a store-branded card. The perks offered by store-branded cards generally work only with the specific store. This is even true of cards affiliated with the store that are not store branded. Your better choice would be one of the general-purpose rewards cards. As an example these, the Chase Freedom card currently offers a 0% APR for 15 months and the interest rate after this introductory period starts as low as 13.99%, depending of course on your credit score. The Freedom card also offers a 5% rebate up to $1500 worth of purchases on categories that rotate every three months. For example, Freedom cardholders could recently qualify for money back on purchases at more than 45 department stores as well as Amazon.com. There is no question but that it’s always better to use cash than a credit card. If you see something you want to buy on impulse it’s just a lot harder if you have to pull money out of your wallet instead of using that little piece of plastic. Plus, it’s just flat impossible to get in trouble with debt when you pay cash for everything. But there are times when it does make good sense to use a credit card. For example, in some cases if you buy an extended warranty plan with a credit card the issuer may add a year of coverage at no cost. Second, most credit cards will protect you against fraudulent charges and ID theft by limiting your liability to $50. If you are traveling abroad, it’s just much easier to use a credit card then carrying a wad of traveler’s checks. There are a few places that favor cash above a credit card but in general the easiest way to pay is with a credit card. However, if you use a card for foreign travels make sure there’s no foreign transaction fee. When you rent a car with a credit card it will save you money because it should allow you to opt out of the car rental company’s rental insurance. Another good place to use a credit card is for airfare. When you buy your ticket with a card and your bags or their contents are lost, stolen or damaged this will probably be covered. You may also be given money for clothing and toiletries while you’re waiting for your baggage to arrive. Buying your groceries with a credit card can also pay off because many of them offer bonus points for purchases that you make at the supermarket. As an example of this, the Blue Cash Preferred Card issued by American Express offers 6% back when you use it to buy groceries. And finally there are those online purchases. While there is still a bit of risk involved in using credit cards to buy stuff online many credit card companies offer liability protection so that you’re not responsible for any unauthorized transactions so long as you keep your account in good standing. However, it’s important to review your statements every month and if you find unauthorized usage report it immediately.